The award winning Series 3 is the larger three head version of the Series 1. 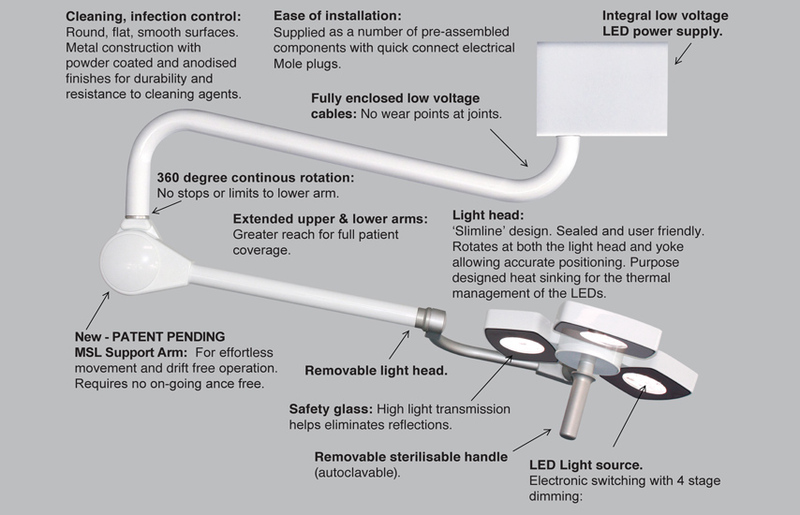 Locally manufactured from the same premium grade materials with many design features normally only found in higher end surgical lights. 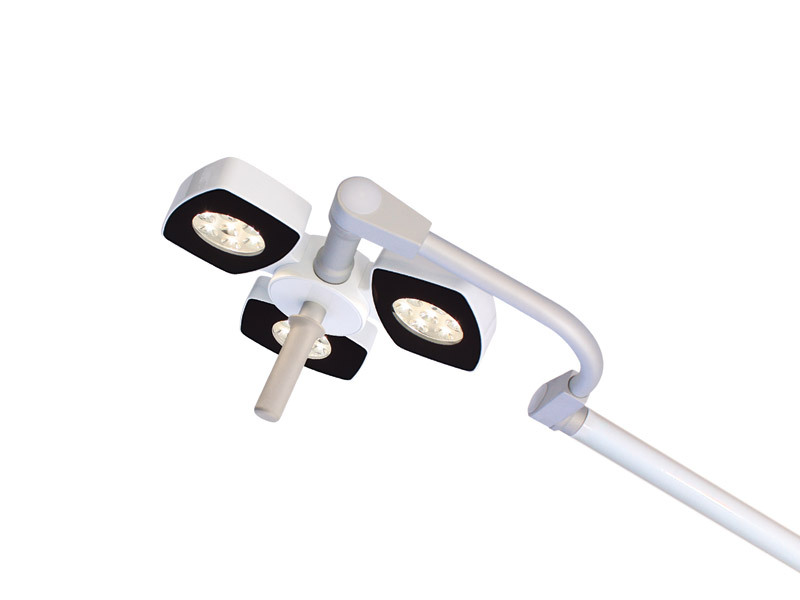 Multiple mounting configurations options are offered in this comprehensive and high quality range. With minimal heat output and high colour rendering the Series 3 is the perfect choice for nearly all applications in the hospital or physician’s office. 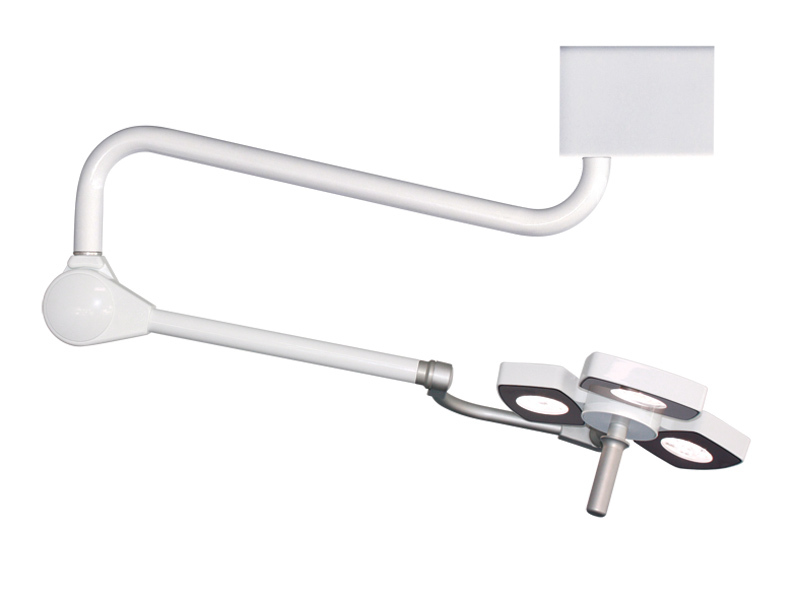 The Series 3 wall mount offers exceptional flexibility in areas where a ceiling mounted light might not be possible. 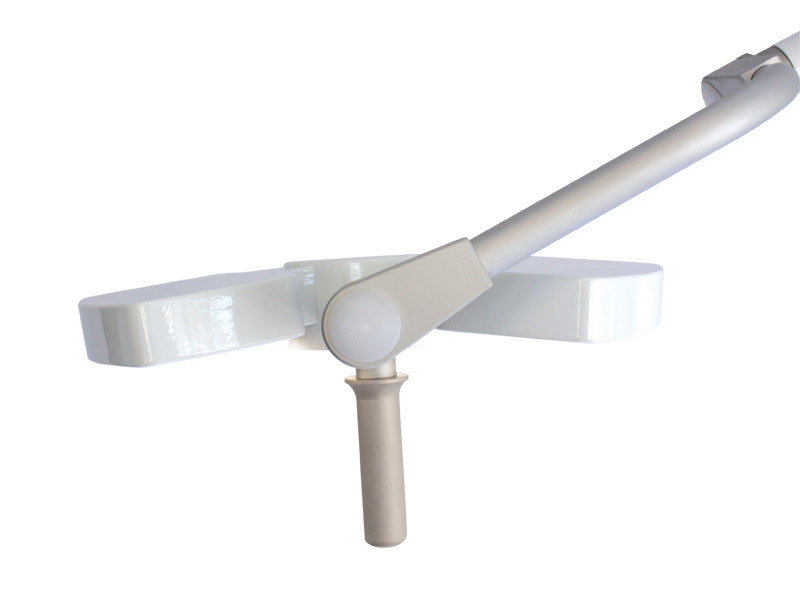 When not in use the fixture can be folded back to the wall and when required the 3200mm sweep maintains full patient coverage. . 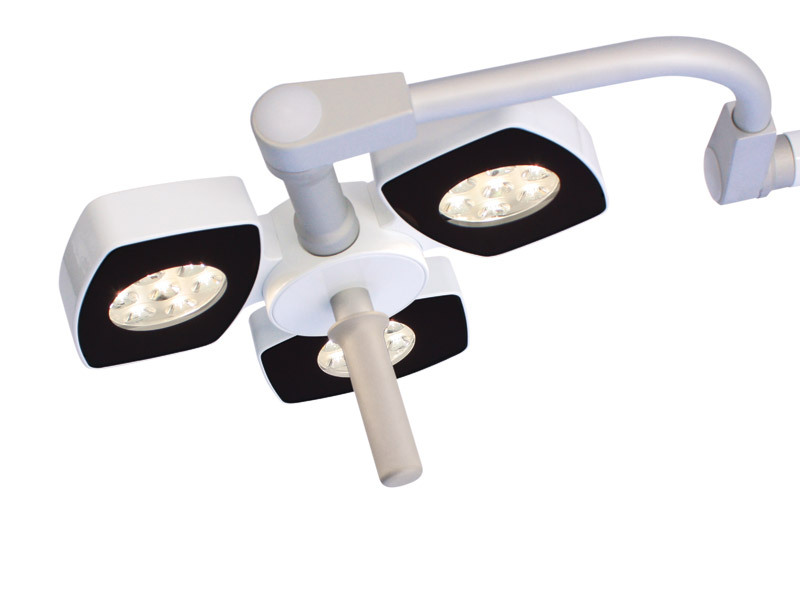 The three light head rotates at both the light head and yoke allowing the user precise control over its brilliant illumination. 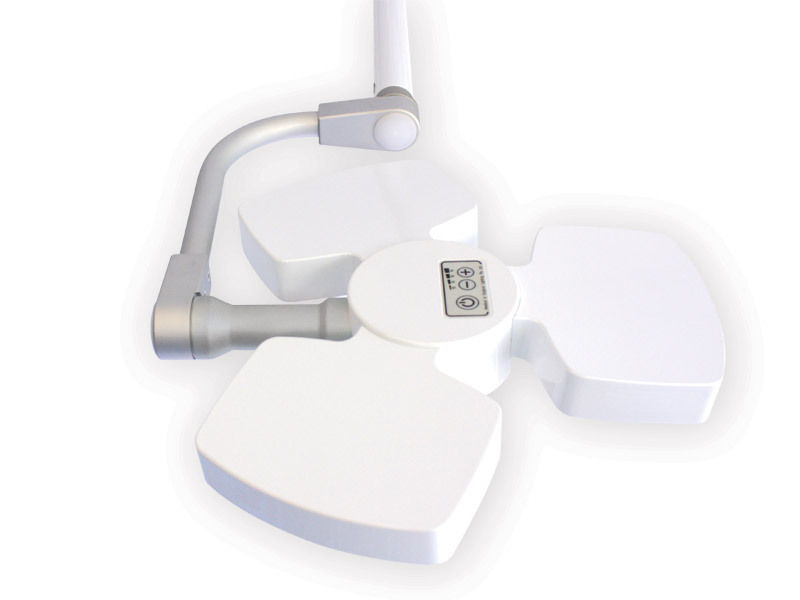 All of the Series 3 models are purpose designed for minor surgery and medical examinations providing outstanding intensity, colour temperature and patient comfort. LED light technology – 3 x 10W. Note: Length of cord must be specified at time of order. Wattage – 3 x 10W. (* measured at 50% of peak value). Colour Rendering Index – CRI 95. In addition the LED module has a high ‘Special CRI R9’ value (deep saturated red, not included in normal CRI calculations). For medical examination lighting tasks this R9 value is a key issue in diagnosis and accurate tissue identification. The MSL319W complies with the Cyanosis Observation Index (COI), meeting the requirements of AS/NZS 1680.2.5:1997 for examination lighting.